The U.S. Department of Energy’s Experimental Program to Stimulate Competitive Research (DOE EPSCoR) is a federal-state partnership program designed to enhance the capabilities of designated states and territories to conduct sustainable and nationally competitive energy-related research. DOE EPSCoR addresses this mission by fostering competitions for scientific and engineering research in states and territories that have demonstrated a commitment to develop their research bases and to improve the quality of science and engineering research conducted at their universities and colleges. This is a science-driven, merit-based program that supports basic and applied research activities spanning the broad range of science and technology programs within DOE. In addition, the program places high priority on increasing the number of scientists and engineers in energy-related areas. The program places particular emphasis and importance on collaboration with young faculty, postdoctoral associates, graduate and undergraduate students from the DOE national laboratories where unique scientific and technical capabilities are present. DOE EPSCoR follows the NSF EPSCoR eligibility criteria. Alabama is currently eligible to participate in NSF EPSCoR programs and, subsequently, is eligible for DOE EPSCoR awards. 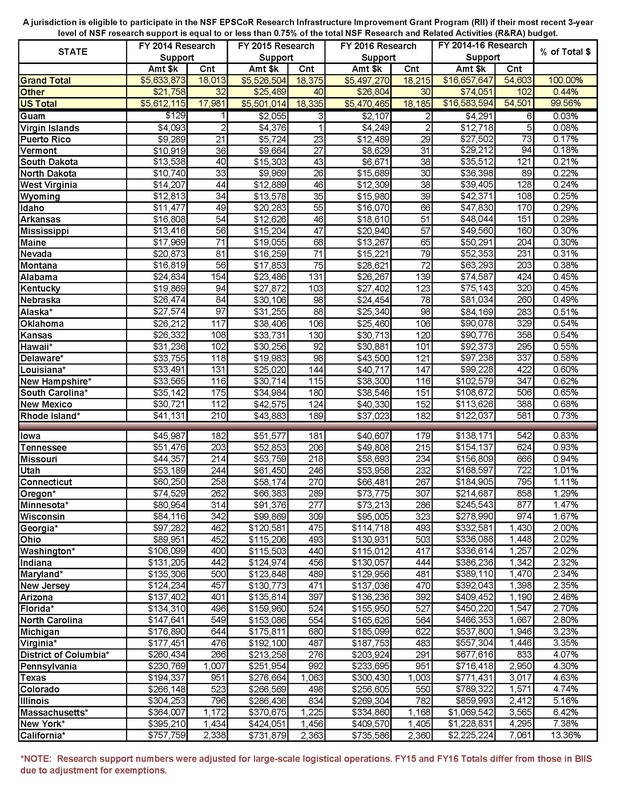 A table of the current eligible states can be found here. Improve the capability of designated states and territories to conduct sustainable and nationally competitive energy-related research. Build beneficial relationships between scientists and engineers in the designated states and territories with the 10 world-class laboratories managed by the Office of Science, leverage DOE national user facilities, and take advantage of opportunities for intellectual collaboration across the DOE system.